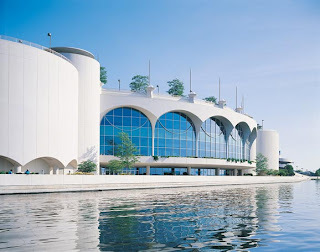 The 2008 The Psychoneuroimmunology Research Society (PNIRS) annual conference took place between May 28-31, 2008 at the Monona Terrace Convention Center, adjacent to the University of Wisconsin campus in Madison. The theme of the meeting was “Promoting Innovation in PsychoNeuroImmunology: From Cytokines to Society.” The meeting was hosted by primate vivisector Chris Coe, director of the infamous and still controversial Harlow Primate Psychology Lab. One of Andrew Miller’s papers is worth noting for its apparent needlessness, redundancy, and for the suffering the authors found so interesting: Felger JC, Alagbe O, Hu F, Mook D, Freeman AA, Sanchez MM, Kalin NH [Ned Kalin, a frequent collaborator of Richard Davidson's] Ratti E, Nemeroff CB, Miller AH. Effects of interferon-alpha on rhesus monkeys: a nonhuman primate model of cytokine-induced depression. Biol Psychiatry. 2007. Interestingly, 3 monkeys (two dominant and one subordinate) displayed depressive-like huddling behavior during IFN-alpha administration that was not affected by time. Post-hoc tests indicated that huddling behavior was significantly increased in relevant animals across all 4 weeks of IFN-alpha administration. Clandestine reports from within the conference center informed the activists that the little ship had disturbed the assurance of the conference attendees and that they were trying mightily to ignore the disruption, but like moths to a flame they came skulking over one or two at a time, sometimes in threes and fours to steal glances at actual public opinion of animal experimentation and vivisectors. As the boat sailed away, it was time for Richie Davidson to begin his keynote address, paying lip service, no doubt, to his kindness—honed by his years of “compassion meditation”—and his personal relationship with the Dalai Lama. 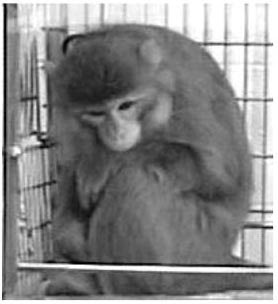 "[...]to steal glances at actual public opinion of animal experimentation and vivisectors." The opinion of a handful of individuals hardly represents the opinion of the public. With so many people on earth claiming to profess a belief in a "higher power," one wonders: Who would Jesus/Buddha/Mohammed/the Earth Mother/(name your deity) experiment on? 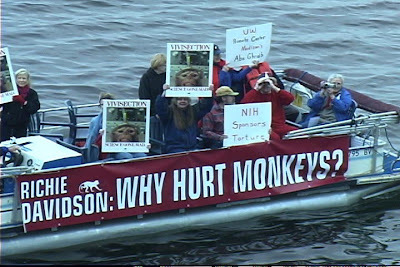 But we not only hope to see an end to primate experimentation in our lifetime, we expect to see it---not just because of this one little boatload of committed and compassionate folks, but because of what we read, see and hear in media, song lyrics, ads, overheard conversations, books, magazines, the internet---in the voice of the collective unconscious all around us. People everywhere are waking up, and we have hope and faith that this particular brand of cruelty will end.